I'm not expert enough to be able to identify genuine but at least I can try to identify the obvious forgeries! Do the forgeries typically have gum on the reverse? Or did the forgers not bother and simply print the stamps? Does this mean that a stamp with another postmark (eg Robersport or Buchanan) is more likely to be genuine? 1. none of the forgeries of the first issue have gum, so I guess that's the rule rather than the exception. Anyone with a gummed forgery? 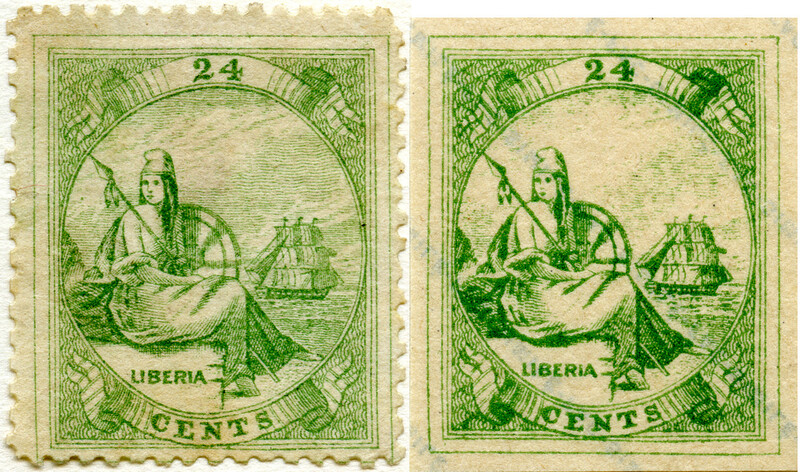 2. all the readable postmarks are faked Monrovia town cancels, sometimes misspelled "MONROWA" (e.g. Spiro) and even "MONPOWA" (Mercier). I'd say any other town means the stamp is genuine. Feel free to post a stamp here in the forum for identification, but the scan should have a resolution of 600 dpi. Looks like my stamp might have come from that strip. How long have you had that strip ? Am I right in thinking that according to Cockrill any postmarks for this issue would NOT have a date stamp - ie if the cancel has a date stamp is must be a forgery? If so do we know which forger did this? 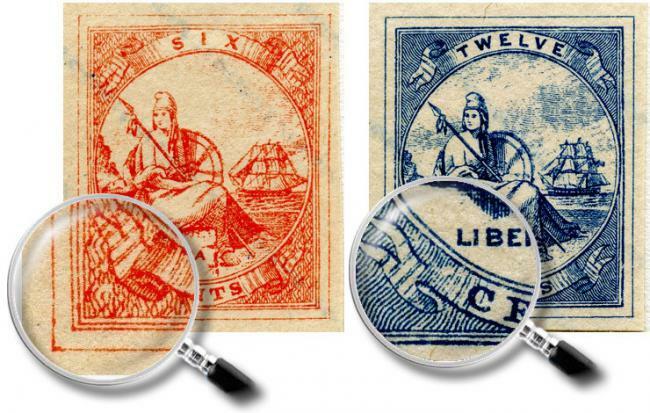 Not sure about the 186x issues, but the 1880 issue definitely exists with dated postmarks: I have genuine copies with CP5 and CP12 in my collection, and I have seen CP6 and CP10. Is it a Fournier forgery? forget about the chin line and the rest. 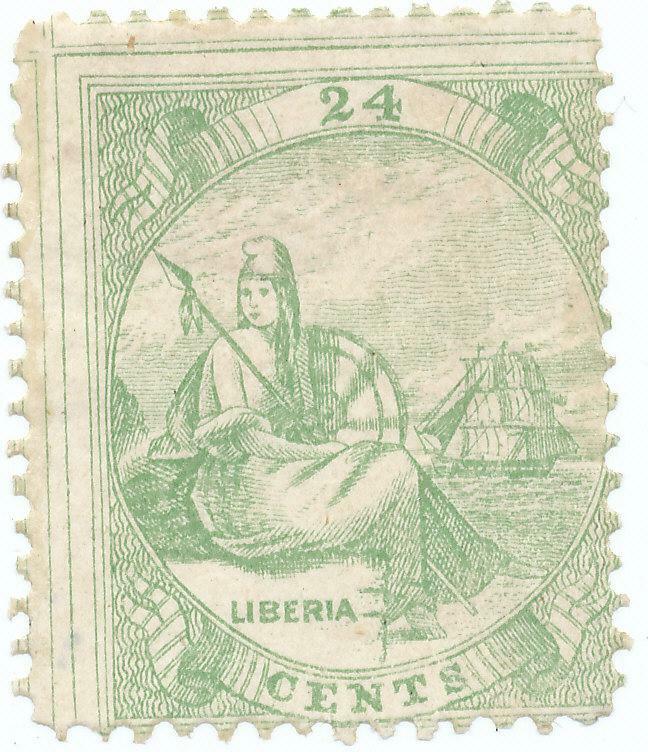 If a 24c stamp looks genuine otherwise, the only criterion that really works is if there is a gap between the leg and the shading of the sea, described in Cockrill's booklet no. 4 on page 19 under g). There is no gap on your stamp, ergo it's genuine. BTW, all Fournier forgeries are smaller than the originals. I have uploaded an image showing the genuine stamp and the facsimile side by side, this should help (I didn't post it here because it would be too small to see the details). Back to check them all again! 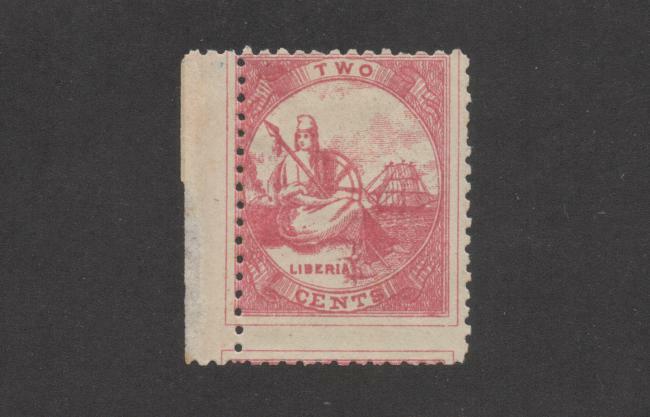 I have never seen a genuine stamp with these flaws, but all Fournier forgeries have them, with or without outer frame, including the corresponding 1880 stamps. Perhaps Fournier even made this on purpose to help him recognize his own work? I've been using Cockrill but that gets very complicated sometimes!